A diminutive Australasian Grebe is paddling near the edge of the little lake that lies alongside extensive lawns that abut the old stone homestead. Muted colours, reflections and water lily pads surrounding the little grebe give a 'Monet-like' quality to the scene. I watch the bird for a few moments to get the light right then take a few frames. While I am sitting, half hidden by weeping willows, honeyeaters and eastern spinebills are flitting between the flowering plants that decorate the various paths and garden beds. 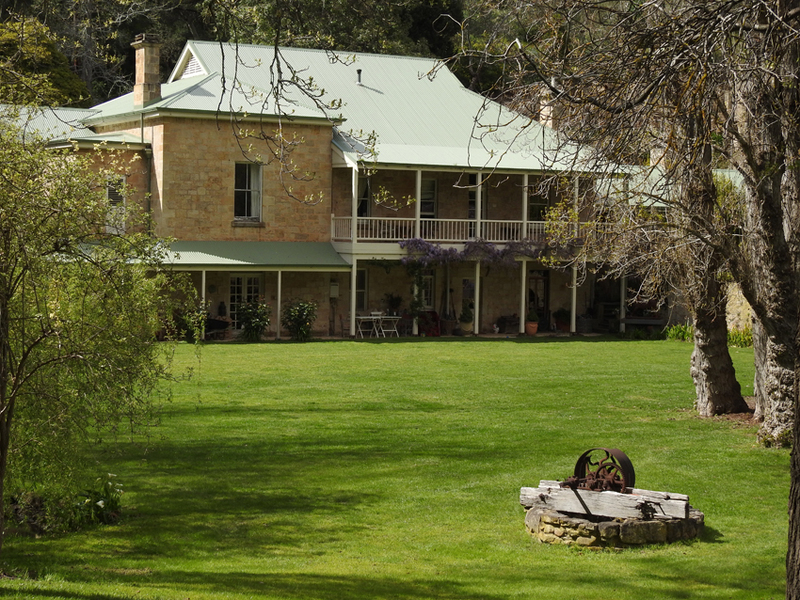 I am strolling around Glen Ewin Estate; just a 40 minute drive from the CBD along the North East Road. 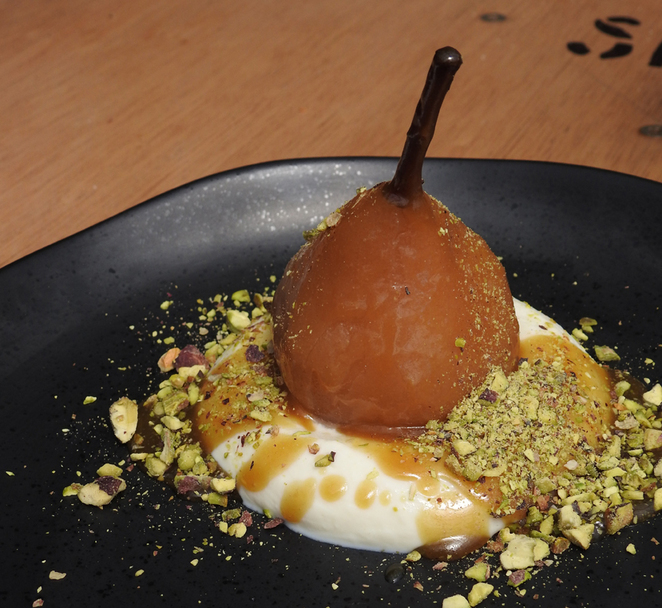 This heritage listed site was established in 1834 with some of the state's oldest vineyards and fruit trees. Once a maker of jams that were South Aussie staples from the 1860s to the closure of the factory in 1988, the property now operates as a restaurant, function and wine centre as well as encompassing Australia's largest fig plantation. In South Australia water is a key ingredient of any environment, be it pasture, forest or scrub and Glen Ewin has three small lakes which provide water for orchards, domestic use and wildlife. As I stroll up the hill alongside the fig plantations I can see a variety of waterbirds in the large dam that lies next to them. 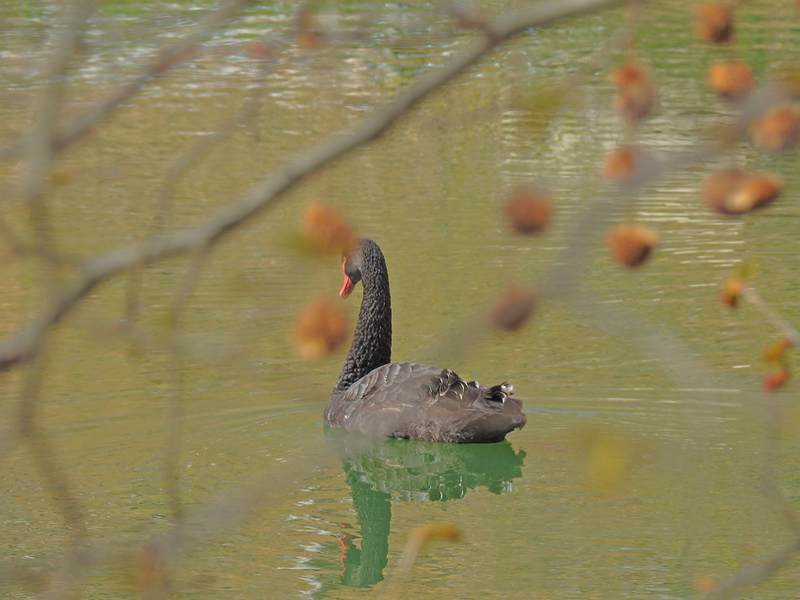 Black and maned ducks are paddling near the bank and graceful black swan is gliding past some overhanging trees. After watching the waterfowl for a while I make my way back to the main buildings. Their classic stone frontages and iron roofs remind me of a bygone era and a couple of geckos clinging to the stonework add to the rustic feeling of the site. 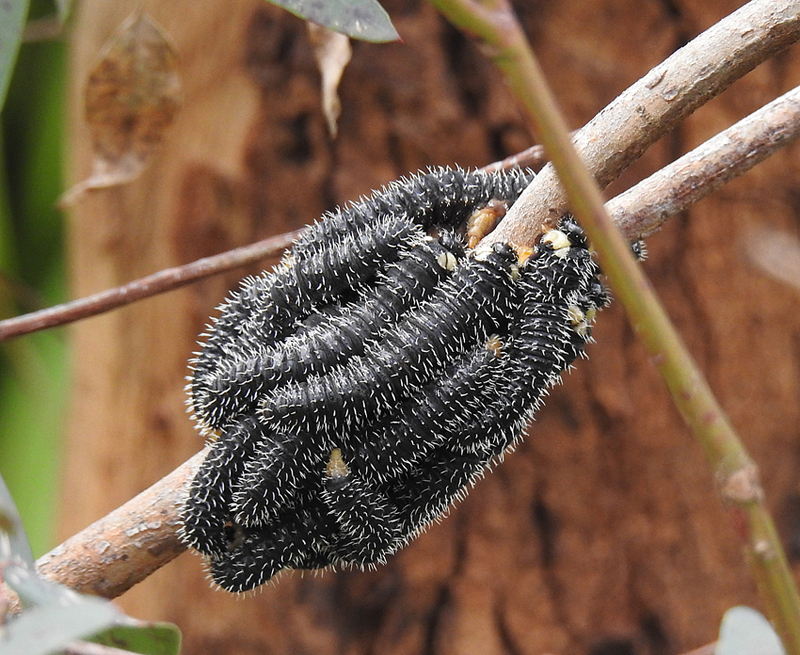 And on a nearby tree a less savoury sight in a cluster of spitfire caterpillars clinging to a branch. In the cutting that borders the road to the function centre and restaurant, several grey currawongs are foraging for beetles and worms. 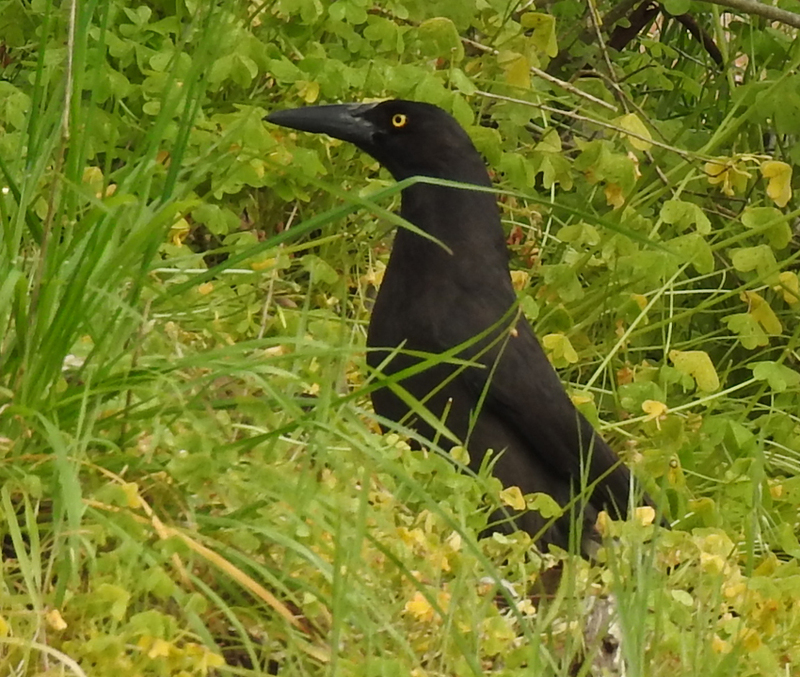 At first glance, they look like crows or ravens but their yellow eyes and white striped tail gives them away. I could spend hours here; just watching the wildlife and enjoying the ambience but I am scheduled to meet friends for lunch at the bistro and I have heard that the cuisine is first rate. I am not disappointed and my chicken and mushroom dish followed by poached pear is a fitting conclusion to a morning's wildlife watching. However, I have one last surprise. The view across lawn, gardens and into the adjacent bush from the upper dining area is rather special but my eye is drawn to a bundle of fur in one of the trees. Lunch finished I check out my observation skills. A koala is climbing up a blue gum near the edge of the property. Some days just have a little of everything.